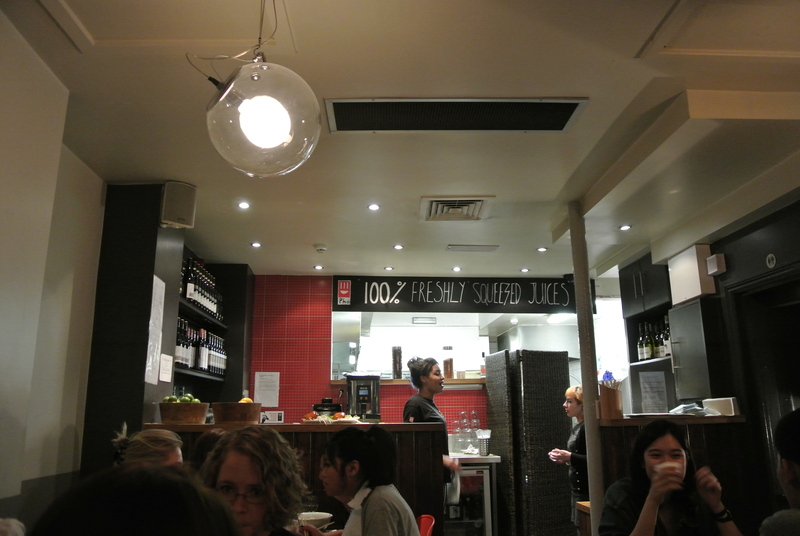 This is how much good food I had in London, I’m still not finished talking about it! We’re in some sort of deep freeze here in Toronto and do I wish I was in London right now eating some of this delicious Vietnamese food. 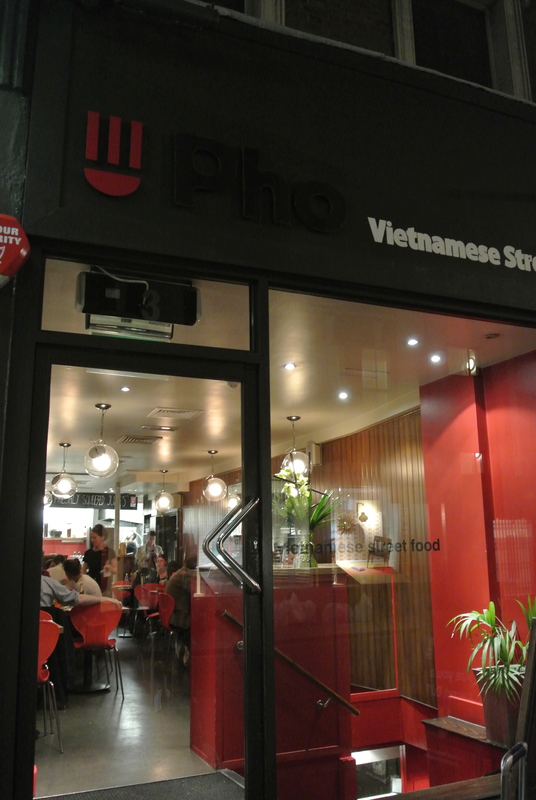 Just located around the corner of Oxford Circus, my friend M took me to a cool little spot called Pho. 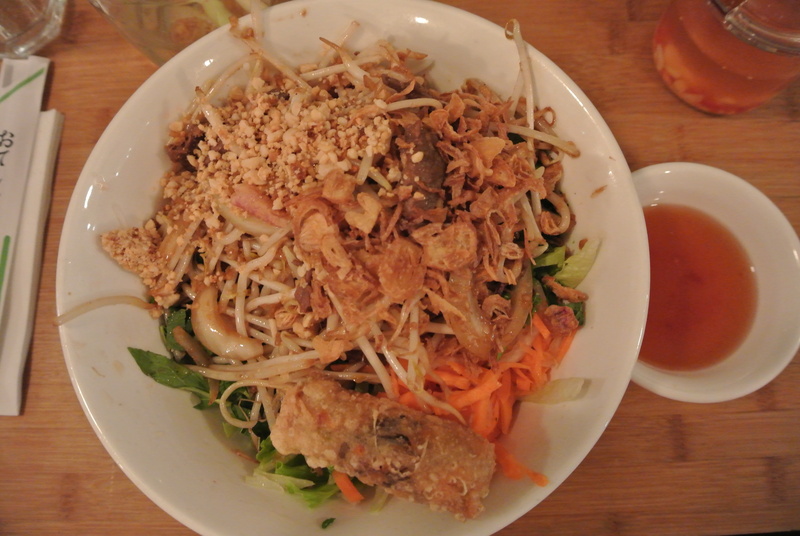 One of my all time favourite Vietnamese dishes is Bun – vermicelli noodles. Its a cold thin rice noodle dish that is traditionally topped with shredded lettuce, herbs, bean sprouts, some sort of protein (I love it with marinated beef) and peanuts. 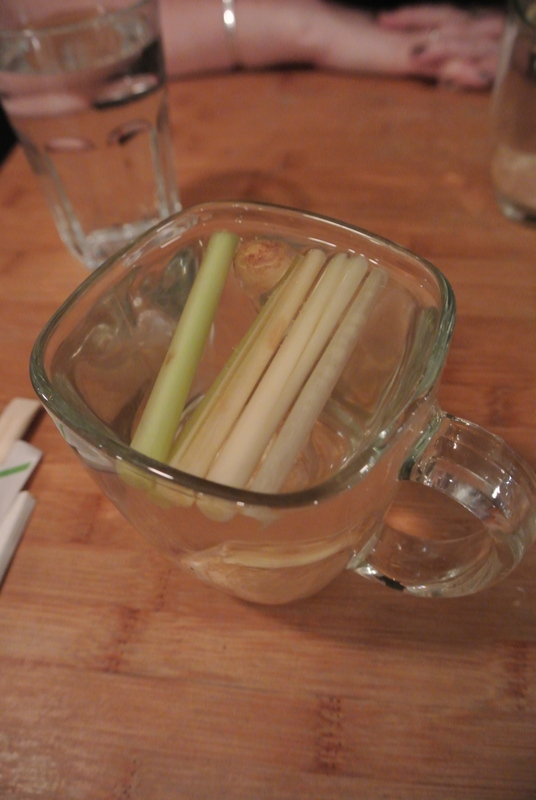 Its served with a spring roll and a dressing, nuoc cham, that is brought to you on the side and then poured over the dish. If you’ve never had Bun, like a lot of asian dishes, its a perfect sweet and sour combination with a lot of crunch! 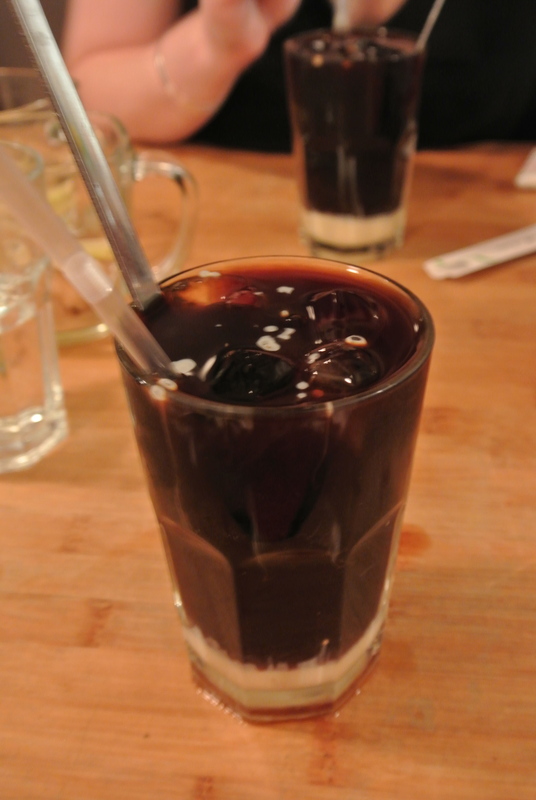 And the best way to finish it off….a glass of ice cold and strong Vietnamese coffee with a good thick layer of sweetened condensed milk! Soooo good! 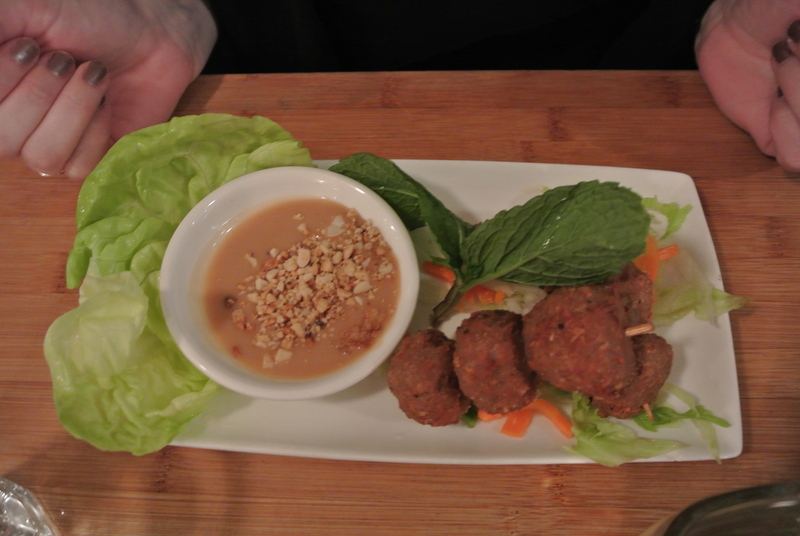 Nem Nuong – pork and lemongrass meatballs with peanut sauce. 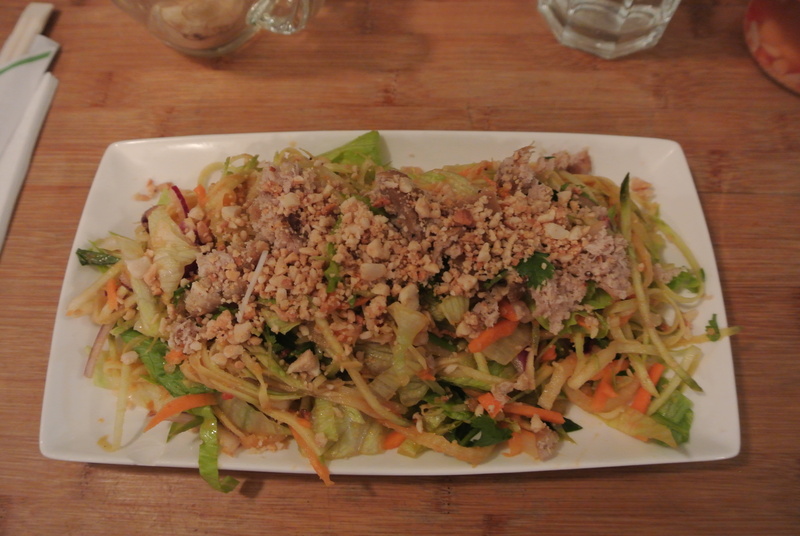 Goi xoai – spicy green mango salad! 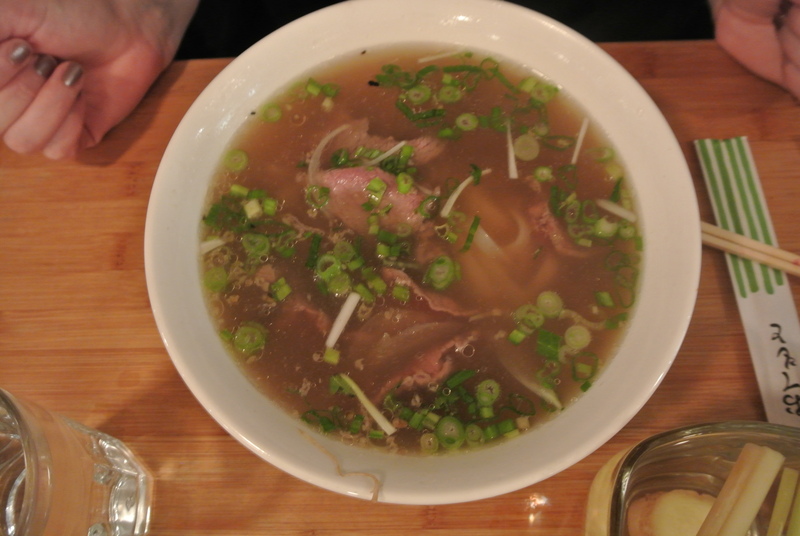 Pho chin – traditional vietnamese noodle soup with tender brisket. Bun – vermicelli noodles with beef, lemongrass, onions and chilli fried toppings, bean sprouts, herbs, peanuts and a veggie springroll. Vietnamese iced coffee with sweetened condensed milk.